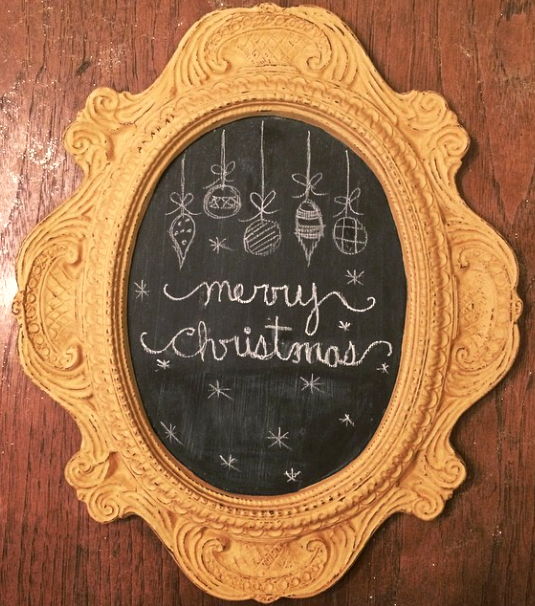 All is merry and bright with this cheerful Christmas chalkboard by Amy of Junk Love and Co.! Amy used Somerset Gold Milk Paint and light distressing on this pretty piece. Amy says, "I Chalkboards... pretty sure the gal getting this one will it too!" You can find your favorite GF products at Woodcraft, RockIer Woodworking stores or Wood Essence in Canada. You can also use your zip code to find a retailer near you at http://bit.ly/1pEtZMu.